Any professional lighting designer knows that one size lamp does not fit all applications. Yet, some lighting manufacturers continue to sell their fixtures with the lamp included. We have yet to figure out how they know what will be lit. The first step in designing a successful and aesthetically pleasing landscape lighting system is to start with the lamp, not the fixture. Different objects deserve to be lit with the optimum wattage and beam angle to maximize the desired effect. You wouldn’t want to light a tall narrow tree with a wide beam angle lamp where half the light is ineffective. Conversely, you wouldn’t wash a wall with a narrow spot. Once the proper lamp has been selected, the contractor or designer can choose the best housing or fixture to support the lamp. In an effort to be the best lighting designer possible, we encourage you to design with the desired end result in mind, hence your customers satisfaction. Don’t settle for a “mediocre” result; go for the “WOW effect”! Below is an example of how the same fixture and type of lamp with different beam angles/spreads can make a difference in the finished product. Big difference! This has been a highly debated question for the past couple of years. Nine out of ten landscape lighting professionals still see the drop-in LED as the perfect solution for their professionally designed outdoor lighting systems due to their ability to maintain flexibility on a project. 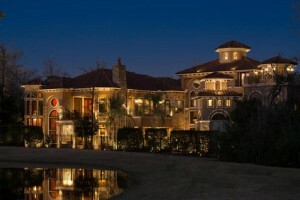 Having the ability to change beam spread, color, color temperature, and wattage is the pillar to creating the perfect landscape lighting scene because as we all know things change from the design stage to the installation stage. Integrated LED fixtures are becoming more and more popular but they have many drawbacks that can create problems once they are installed in the field. One of the main problems is that integrated LED fixtures take away a lot of the professional’s flexibility. No longer can you simply swap out a 7W LED MR16 for a 4W LED MR16 because a feature is too bright. 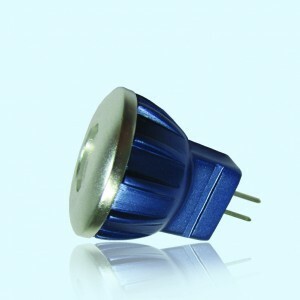 Now, with integrated, you have to remove the fixture and replace it with another lower wattage LED. Also if the LED driver or chips fail then you will have to replace the entire fixture. No longer can you simply swap out the bad LED for the new LED. These are just a few of the drawbacks of integrated LED fixtures. Obviously integrated LEDs have their pros but some of the cons have prevented their continued growth in the marketplace when compared to direct replacement LEDs. There are many low quality drop-in LEDs on the market which have given the quality drop-ins a bad rap. 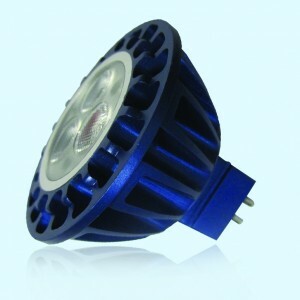 Cost does matter…just because an LED has a CREE chip does not mean it is quality – you get what you pay for with LEDs. Not as good heat dissipation as integrated fixtures thus the warranty life is usually 3-5 years (standard). 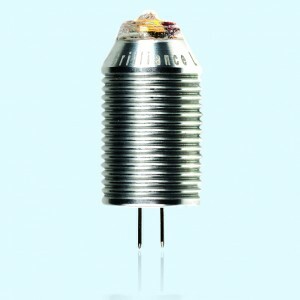 Anything higher than 5 years on a direct replacement LED – be wary. Cannot be dropped into any old fixture. The fixtures must be water tight to help protect the drop-in LEDs. Most all capacitors located in LED drivers only have a life expectancy of 10 years (or less) so this often drives the warranty. You usually do not have to worry about water intrusion because the fixtures are specifically designed and pre-assembled to be watertight. So which LED package do you choose? LEDs are like computers, constantly changing and getting better each and every day. Choosing the right LED system completely depends on the goals of the user, project, and end result. Integrated and drop-in LED fixtures both have their place in the landscape lighting market and there’s no black and white answer as to when to use one or the other. When considering a LED lighting system, ask yourself questions that pertain to cost, control, and overall quality in order to choose an option suited best for you and/or the end user. There are plenty of opportunities for either side and choosing which is best can be difficult. Consult a qualified ClaroLux Lighting Dealer who can point you in the right direction. When Brian Groat and Brandon Helms, owners of ClaroLux Landscape Lighting, heard that The Greensboro Children’s Museum was creating a new garden area, they jumped at the opportunity to help in any way that they could. 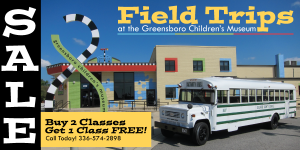 Helping local businesses and organizations like The Greensboro Children’s Museum was a great way for them to help give back to the community. They were both inspired by the expansion and donated all of the landscape lighting supplies. ClaroLux’s Design and Manufacturing Department was recently contacted by The Walters Art Museum in Baltimore, Maryland to help them with their efforts to convert their lighting system in their facility over to LED. 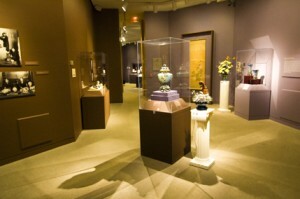 The Walters Art Museum was illuminating most of their artwork with high wattage 12V PAR36 halogen lamps. Not only were the halogen PAR36 lamps very inefficient but they were also producing quite a bit of heat that had to be countered by their central HVAC system. This in turn was costing the museum a lot of money on a yearly basis. ClaroLux helped to design an indoor PAR36 to MR16 LED adapter for their current lighting system that would help to eliminate some of these expensive factors above. This was all done while keeping their artwork illuminated to within their specifications. The indoor LED PAR36 – MR16 Adapter has helped ClaroLux enter into a new realm of business in the Art World showing that their abilities/products are not just limited in the outdoor landscape lighting industry. If you are ever in the Baltimore area please take some time to stop in and see some of their beautiful artwork. The Walters Art Museum is truely an amazing place. To learn more about The Walters Art Museum please visit www.thewalters.org. As you all know, some manufacturers are advertising their built-in LED fixtures as the “cure-all”, “end-all” solution to landscape lighting. Yes, fixtures that have built-in LEDs are very good at keeping heat away from their sensitive components but as you all know nothing lasts forever, especially electrical components. Built-in LEDs usually come with a 10-15 year warranty from the manufacturer compared to a direct replacement LED that comes with a 3-5 year warranty. What you will see from the story below is that often times the warranty is a very misleading sales tactic. This is why it is very important when choosing an LED fixture to illuminate your home that you do your research! Failing to do so can end up costing you thousands of dollars down the road. 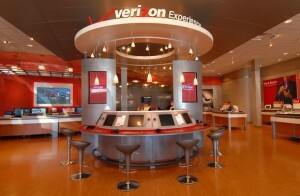 Last week we received a phone call from a new client in Mooresville, NC. They specialize in outdoor living spaces, rock features, water features, etc. In the past, they were illuminating their work with built-in LED wall washing fixtures from one of the larger landscape lighting manufacturers (we won’t mention names). They ended up switching to ClaroLux’s CL-DL4 direct replacement LED fixture because they ran into an issue that many people fail to think about when creating their dream outdoor living space…problems that occur down the road after the project is complete. On this particular project they created an elaborate rock wall feature with a grand outdoor fireplace overlooking Lake Norman. It was truly beautiful! The only problem was that after three weeks of completing the project many of the LEDs had already failed. Five out of the sixteen LED wall washer fixtures had failed thus creating a serious problem considering all of the fixtures had built-in LEDs that could not be replaced. Usually this would not be an issue if they were to have used a fixture like ClaroLux’s CL-DL4 with a direct replacement Brilliance LED. But now instead of simply replacing the LED they had to completely deconstruct the rock wall and fireplace to remove the LED fixtures. The manufacturer of the built-in LED fixtures stood behind their 15 year warranty but they failed to cover the contractor’s expense in rebuilding the rock retaining wall/fireplace. It took this particular contractor 2 weeks to dissemble the wall and reconstruct. He ended up losing a once happy customer and thousands of dollars because the fixture had built-in LEDs that could not be replaced. This is a prime example of why you need to choose your fixtures wisely. 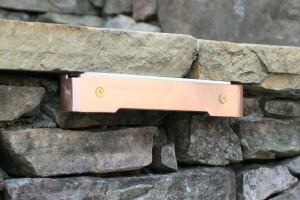 LEDs do not last forever but your rock wall or outdoor living space will. If you are thinking about purchasing fixtures with built-in LEDs, ask yourself, what happens when the LEDs fail. You will not simply be able to replace the LED. You will have to replace the entire fixture which can be very costly. This is why it is good to think about the future and ALWAYS consider the “what if” in every situation. 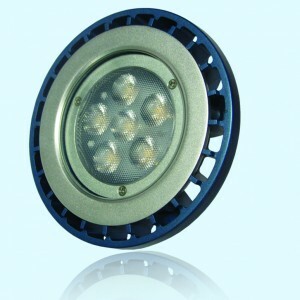 ClaroLux only offers direct replacement LEDs from Brilliance. 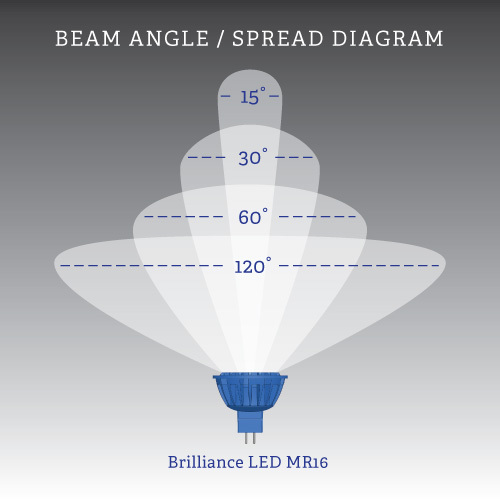 We feel that Brilliance LEDs are some of the best LEDs on the market today. If you are considering an LED outdoor lighting system, always think 5-7 years down the road. Based on recent findings and studies that ClaroLux has performed we would say that over half of the built-in LED fixtures that are on the market today will have failed by then. Learn from other people’s mistakes and use direct replacement LEDs. They can end up saving you thousands of dollars. On the surface, it seems like a no brainer to “go green” and use LEDs in your landscape lighting system. They use about 1/3 the energy, last up to 15 years, and almost completely eliminate your maintenance costs. The reality, however, is that the majority of these outdoor LED’s have failed to live up to their promises. The Dept. of Energy (DOE) launched a testing program (Caliper) that put these products on the block. The results were staggering; nearly every product failed to meet its claims. One LED manufacturer faces a lawsuit because their products were so abysmal. Landscape Lighting LEDs face many hurtles when trying to live up to their claims (10-15 year life expectancy). 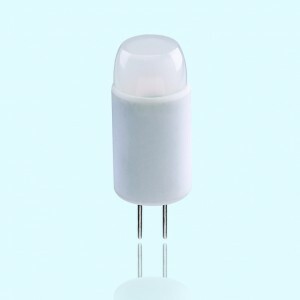 Some of these hurtles are light output, proper heat dissipation, moisture, color, and the integrity of the fixture body that houses the LED. Let’s not forget, LED circuits are sensitive bundles of electronics. Would you put your cell phone in a cheap leaky box, plant it in your back yard and expect it to last 10-15 years? It’s not easy to manufacturer a sensitive piece of electronics that will survive Mother Nature. 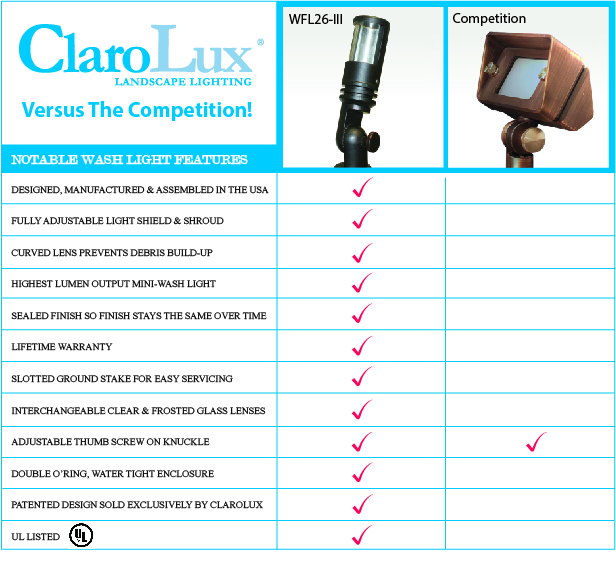 This is why ClaroLux has teamed up with Brilliance LED. Brilliance has teamed up and worked with some of the top engineers in the world to produce their 12V landscape LED line. BrillianceLED hired some of the best engineers in the industry to custom-design their LED’s to withstand the outdoor environment and to outperform any other LED on the market.